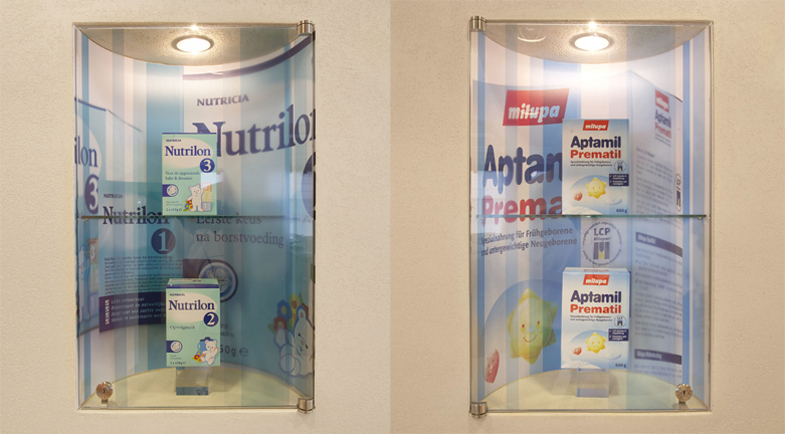 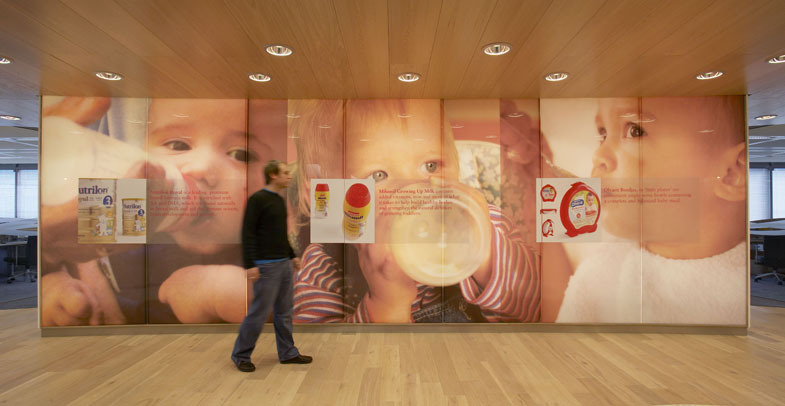 As one of Europe’s leading baby food, baby milk-formula and clinical nutrition company, Numico (now a subsidiary of Danone) housed popular brands including Cow & Gate, Milupa and Nutricia. 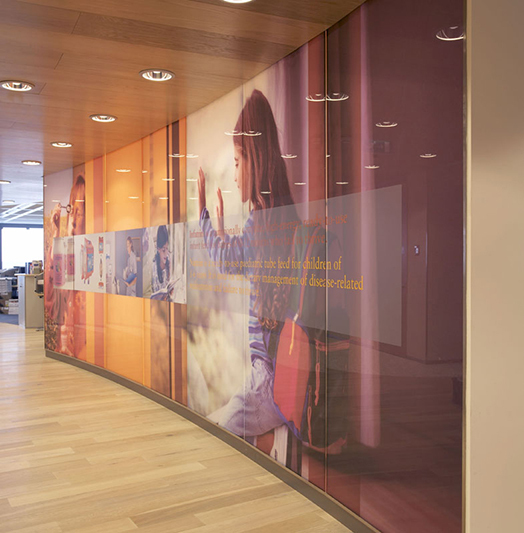 They took the decision in the early 2003 to consolidate their offices and move to new headquarters near Amsterdam; while their new space provided a calm and contemporary working environment, it was neutral and lacked any expression of personality to help galvanize and unite staff behind the brand and to enhance the benefits of relocating. 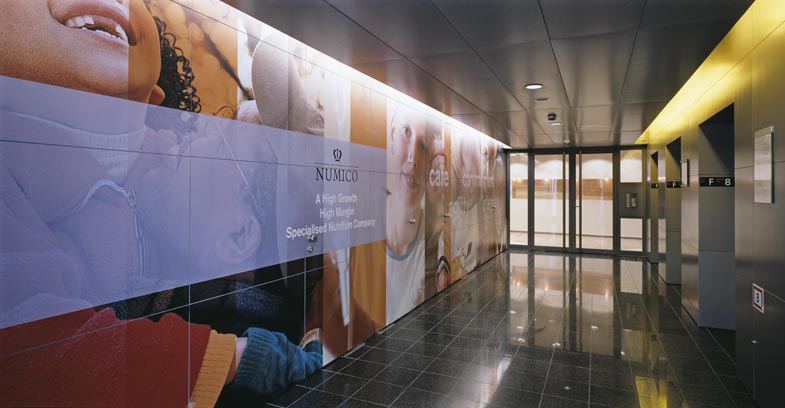 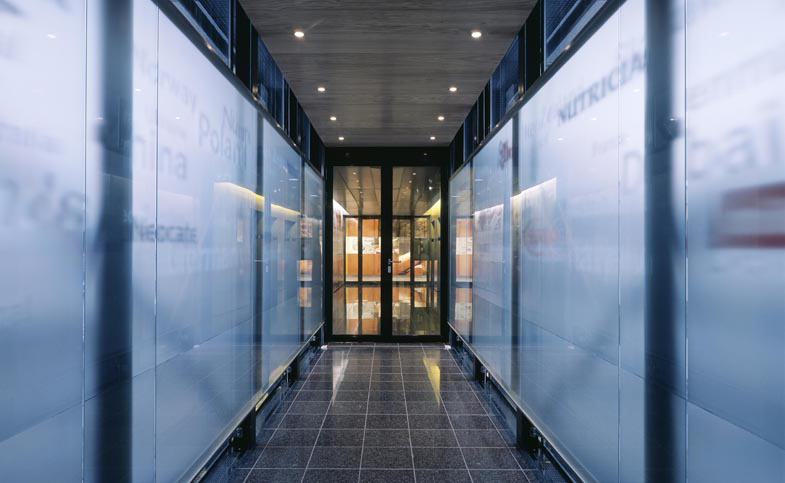 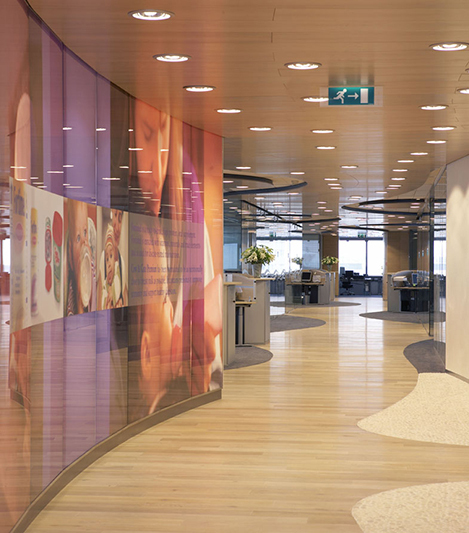 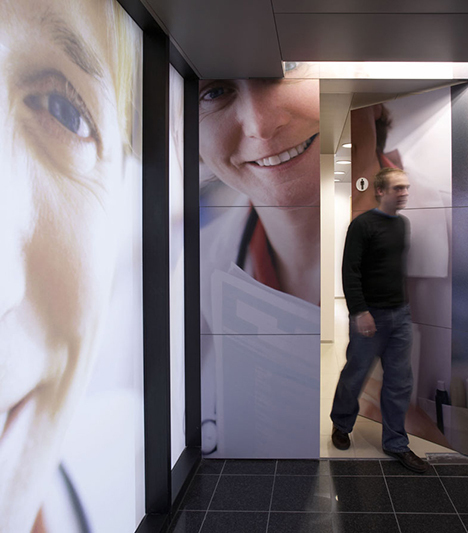 As a holding company for a number of otherwise unrelated brands, the challenge was to provide this powerful visual expression for Numico in a unified and consistent way, using the common circulation areas in the office environment so the day-to-day workspace remained unaffected and free of distraction. 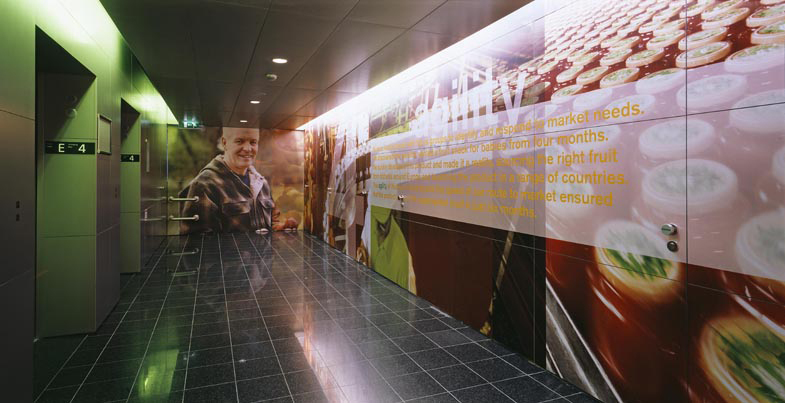 The solution is a bold and arresting visual statement which, exploiting the use of scale, makes a clear impact on staff and visitors. 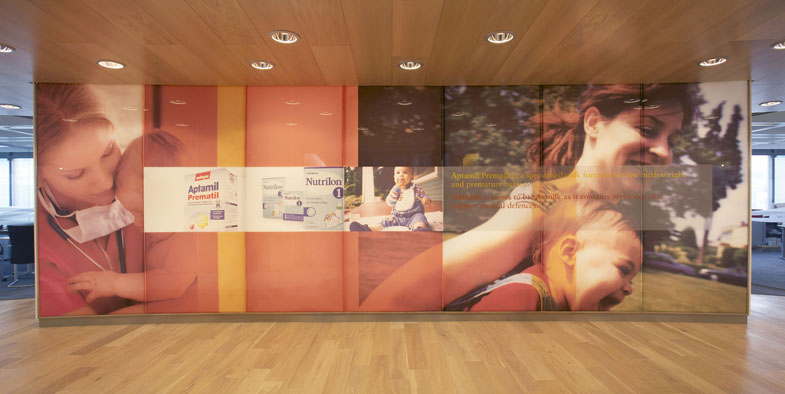 It promotes the company’s consumer brands and their individual values; the physical installation is simple, yet feels completely integrated with the interior architecture and allows them to be easily changed. 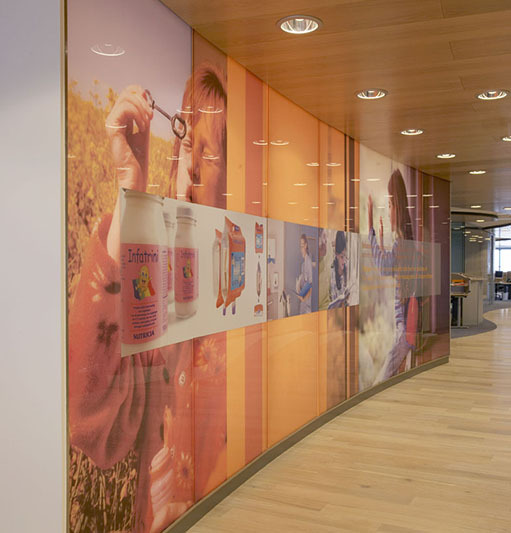 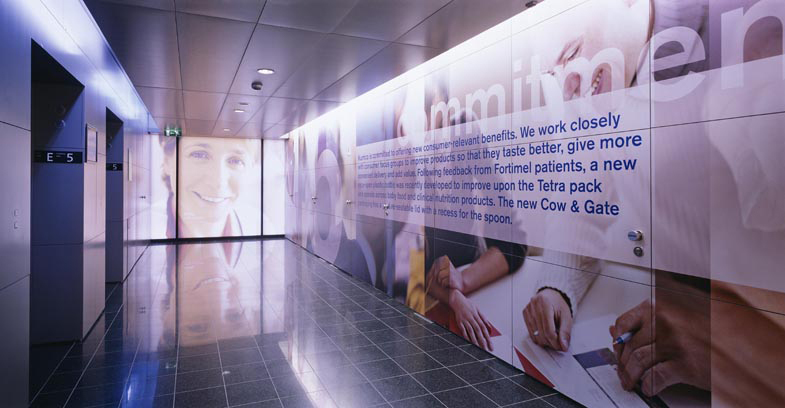 (Work completed at Landor Associates, London, UK).